Nope, I didn’t mispell that! I really meant LIVER, not lover! This post is about your LIVER, not your lover. I got this one from a forwarded email. Author unknown. I think everyone could benefit from sharing this information. 1. I STORE THE IRON reserves you need, as well as a lot of vitamins and minerals. Without me, you wouldn’t have the strength to carry on! 2. I MAKE BILE to help digest your food. Without me, you’d waste away to nothing! 3. I DETOXIFY the poisonous chemicals you give me, and that include alcohol, beer, wine and drugs (prescribed and over-the-counter) as well as illegal substances. Without me, your “bad” habits would kill you! 4. I STORE ENERGY like a battery, by stockpiling sugar (carbohydrates, glucose and fat) until you need it. Without me, the sugar level in your blood would fall dramatically and you’d go into a coma! 5. I MAKE THE BLOOD that got your system going even before you were born. Without me, you wouldn’t be here! 6. I MANUFACTURE NEW PROTEINS that your body needs to stay healthy and grow. Without me, you wouldn’t grow properly! 7. I REMOVE POISONS from the air, exhaust smoke and chemicals you breathe. Without me, you’d be poisoned by pollutants! 8. I MAKE CLOTTING FACTORS that stop the bleeding when you accidentally prick yourself. Without me, you’d bleed to death! 9. I help DEFEND YOU against the germs going into your body all the time. I take those cold germs, flu bugs and other germs you encounter, and knock them dead – or at least weaken them. Without me, you’d be a sitting duck for every infection known to man! 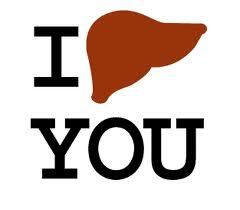 Let me tell you some easy ways to love me, your liver!! Don’t drown me in beer, alcohol or wine. Even one drink is too much for some people and could scar me for life. All drugs are chemicals and when you mix them without a doctor’s advice, you could create something poisonous that could damage me badly. I scar easily… and those scars called “cirrhosis” are permanent. Medicine is sometimes necessary. But taking pills when they aren’t necessary is a bad habit. 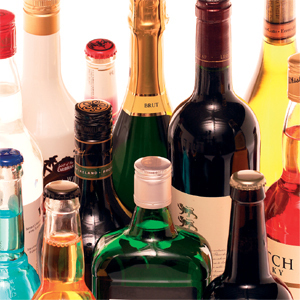 All those chemicals can really hurt a liver. Be careful with aerosol sprays! Remember, I have to detoxify what you breathe in, too. So when you are cleaning with aerosol cleaners, make sure the room is ventilated, or wear a mask. That goes double for bug sprays, mildew sprays, paint sprays and all those other chemical sprays you use. Be careful what you breathe. Watch what gets in your skin! Those insecticides you put on trees and shrubs not only kill bugs but they can get me right through your skin and destroy my cells too. Remember, they’re all chemicals. Cover your skin with gloves, long sleeves, a hat and mask every time insecticides are in the air or if you’re handling them. WARNING: I can’t and won’t tell you when I’m in trouble until I’m almost at the end of my rope… and yours. Remember, I’m a non-complainer. Overloading me with drugs, alcohol and other junk could destroy me! This may be the only warning sign you will ever get. Check me out with your doctor. Blood screening tests could identify some trouble. If I’m soft and smooth, that’s good. If I’m hard and bumpy, that could mean trouble. If your doctor suspects trouble, ultrasound and CT scans can look into it. Now you know how much I care for you. Please treat me with tender loving care. Loved this post. A great reminder for all of us! I never realized how important our liver is. My niece has liver failure. I think I should send this to my hubby. Thanks for this post! Hi HALIE, Indeed a great reminder! Thanks for dropping by! Hi SOFTLY SPOKEN, I did not realize that before. Glad to share some info. My prayers to your niece. Hi AIDISAN, It’s never too late to remind our loved ones! Tell them we care by reminding them to take care of their health. sir ok lang ba ako kumain ng mani di ba un nkakataas ng sgpt kasi mhilig ako sa mani ung mga adobo ganun sabi nman ok nman daw ang pagkain ng mani dahil good fats nman daw un ano po ba? Hi NELLY, ok lang kumain ng mani, kaso kung adobo, makakataas ng SGPT yung mantika nya. So if you are in a stage where you are trying to reduce your SGPT level, eating adobong mani is not a good idea. Hi RAYMOND, your welcome and thanks for sharing your experience! I am sure your level will be better in no time. Take care always! please of recent i was diagnoise of hepatotis B with ma SGPT standing @ 74.9 but my hepatitis indicate non reactive does it am a carrier? And what kind of deit i need @ the moment to sustained this trend? Hi ABDDEL QUDUS. Unofortunately, I could readily answer you whether you are a carrier or not. The diagnosis of Hepatitis B can be made only with specific Hepatitis B virus blood tests. These tests are known as hepatitis “markers” or ‘serology’. Was this test your doctor’s basis for his diagnosis? Elevated SGPT does not usually equate with having hepatitis, but can either be due to something else. Most people with hepatitis B do not need a special diet. What’s most important is that you try to eat healthy foods and do not become overweight. For elevated SGPT, a low fat diet would be very beneficial. Avoid alcohol and get some exercise. Hi HEART! Not everyone comes back to say THANK YOU, but you did! And I saw you posted your comment on the 3 related posts, because you wanted me to see your message… I can see sincere gratitude from you! God bless you! Take care always! Good luck on your next doctor’s appointment! Out of all this only SGPT came out with a strange result having 74.9 higher than the normal range of 0.40, but since this could be dealt, with proper deit am ok with it. The major concerns is how can i get rid of the virus (hepatitis) in my system? There are medications in the market for Hepatitis, depending on the kind of Hep. You need to consult your doctor for this. Back in high school, I was a heavy drinker, which I blame on peer pressure of course. Everyday was a different reason to drink, but at least I never smoked or used drugs. When I enrolled in a Nursing course, I gradually trained myself never to touch alcohol again. It was hard at first, and I didn’t get any decent sleep for the first month. But I’m proud to say that I’m 3 years sober and totally alcohol free! I guess that’s a part of me that Nursing has helped. I just hope I could help other people change as well. Oh definitely yes. When you become a nurse, it is going to be your advocate to help people improve their lifestyle, and that includes providing health teachings on healthy lifestyle. wow!..i learn something today about liver.. I actually copy and paste it in my email and forwarded this to those dear to me..
wow! Dear Liver…I take care of you so much but sorry if sometimes you also inhaled my surroundings. My family are smokers and I can’t stop them from smoking…sigh! Good day, kaka-medical examination ko lang last wednesday and sabi nila eh mataas daw ang aking SGOT and SGPT so I just get worry kc for work purposes abroad itong medical exam na ginawa ko, ask ko lang if makaka-apekto ito sa akin na hindi ako maging “fit to work”? if makaapekto ito sa result na hindi ako mag fit to work anu ang dapat kong gawin? ganu kaya katagal ito bago mag-okey? Perp diko talaga alam bat ganito result ng exam ko eh yearly naman me nagpapacomplete hepatitis test and okey naman and nagpa abdomenal ultrasound din po ako and normal naman lahat. Hi JHEN, Yup pwedeng makaapekto sa yong application for abroad ang mataas na SGPT. Usually naman, pinapayuhan ang mga applicants to repeat the test after one or two weeks, but before retesting, you should make an effort to reduce your SGPT level by taking liver supplements, eliminating fats from your diet, and taking some exercise. Some people who had some cases as yours were able to reduce their level on the second testing. Hindi lang hepatitis and nagco cause ng elevated SGPT. Posibleng napabayaan mo ang diet mo, medyo napadami ang inom mo ng alcohol lately, o baka naman uminom ka ng ilang gamot during the last weeks (kasi may mga gamot na nakaka raise ng SGPT level). Nice to hear that, JEN! I post ko lang sa site na ito kasi posted na sya dun sa isang page na puno na. Salamat po. I had a flu last july 13, 2011 for 2 weeks, the reason why i found out that my SGPT was elevated (115) dated July 20, 2011. The Dr advised me to have a hepa test (NEGATIVE) and an Ultra sound ( result is : Hepatic Steotosis with focal fat spared area) The doctor just gave me Vit B Complex prescription. My family is not rich and a friend is just helping me with medication. I changed my diet and been totally no to meat and high protein foods for a month. Then, this morning i went to a clinic to have my SGPT to be checked again. Instead of going down the reading became 148.5 Is this very alarming already? I bought Liveraid today and will try this supplement for 10 days after that i will get another test again. Which one is better Essentiale of Liveraid. How much is their difference. I have 30 Caps of Liveraid for Php. 480. I must admit that i abused protein shake/whey last year for several months but i am not aware of it. I am worried now. I am going to die? Your blog is very useful God bless you for that you and your family. Hi JAY, thanks for sharing your case. No you are not dying, as yet! I wonder why your level did not go down inspite of your diet. But let me ask also – Were you taking medications that time (some medications can increase SGPT level)? Did you do some exercise? Did you refrain from drinking alcoholic beverages? I do not recommend any brand of liver supplements – but I would say that Essentiale was the brand I used and was effective in lowering down my SGPT level. Mine was around 80+ and went down to 40+ after a week of supplements, diet and exercise. Thanks Nelson! I was not taking any drugs or medication, just a Vit B complex for that whole month once a day. No alcohol beverages as well. I went to the gym once within that time. I was really expecting that somehow my ALT will go down but it did not. I think there’s something wrong with the diet or the lifestyle. This time i will do some exercise and will stick on fruits and vegetables. How can you evaluate my SGPT reading? Is it on a critical level now? I thank God everytime you reply to everyone’s question. I pray that God will give you the desire of your heart. Hi JASON, I think your level can be reduced to normal limits if you really go serious with your diet and exercise. Take note that there were visitors here who had 1000+ sgpt level, so consider your level as still manageable. Good luck! Thanks Nelson!!! that word encourages me alot. God bless bro. I will share whatever results i may have after 10 days. Btw, there are people telling me to take gluta. How safe is this? Have you done any readings/research about it? Hi everyone specially kay author Nelson. Ito na ang result ng diet + exercise + liveraid na ginawa ko in 10 days. History lang po : July 22 ( 115 SGPT ), Aug 19 ( 149 SGPT ) Aug 29 ( 103 SGPT). Kung itutuloy utloy ko ito in one month pwede na maging normal ang level ko. Ito po ang ginawa ko. May halong exercise and Liveraid at no meat ako no oil din, no sugar din pero this past 2 days nilalagyan ko ng asukal yung avocado ko. Then, konting salt lang din pampalasa sa kinakain ko. Ito po yung JOURNAL ko sa mga kinakain ko. Sana matake din ng iba hehe. 9PM – veg salad – yung nbibili sa megamall no mayo! Araw araw po ako take ng Vit B complex. Yung generic lang ang iniinom ko. Isa sa umaga at isa sa hapon. Yung repolyo at sayote ang ginagawa ng nanay ko nilalaga lang sa tubig kasama ang luya, sibuyas at bawang para magkalasa kahit papano. Yung sa ampalaya naman paksiw or nilaga lang sa tubig. pasensya na po at napahaba ang post ko. Itutuloy ko pa rin ang journal sa mga kinakain ko then mag share ulit ako after one month dun ko gagawin ang susunod na blood test ko. God bless po sa ating lahat. Wow thanks for sharing your daily journal! I’m sure there are people out there who would benefit from this! I wish you luck and continue to follow your regimen! My prayers are with you! Hi CROSS, Yup a high sgpt level is usually a ground for people not to hire somebody, but most agencies know that certain level like yours can be reduced to a normal level, once started on treatment. Your current medication is good, but make sure you watch out your diet – that’s the most important. Eliminate fatty and oily foods for the meantime. Better to avoid meats. 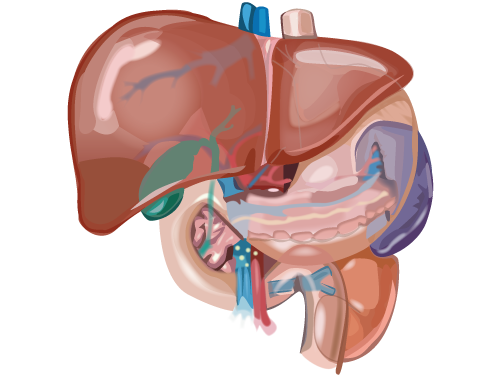 Have some form of exercise better than walking (eg stationary running) to shed off some fatty deposits in your liver. Hi Nelson, its me again. I went to clinic this morning to check my SGPT once again. Here’s the score. After doing the same routine i posted before. Here’s the history. I am very happy with the results. I can make it normal in just ten days. I will keep everyone posted after another ten days. Guys just follow strictly the diet (no meat/no protein), exercise and liver supplement. Author, pwede ba mag post ng number dito para sa mga taong gusto masundan yung journal ko? Thanks!!! More blessing Nelson. God bless. Hi JAY! Thanks for sharing your story. I am sure many here are learning a lot. Do you mean posting your phone number? I would rather suggest you post your email add instead of a number. Thanks for having the thought of helping other people with similar problems. God bless you too! pleasant day everyone. my story is a bit mad or its me who is just mad. ill try to keep it short. about a month ago, i felt pressure in my lower abdomen which i could feel around my lower back and both my legs. i was in a seminar at the time. i felt really fatigued and feverish that day. when i went went home, fever hit me so i panicked. could not sleep. the following day, i went to see a doctor at our lady of lourdes hospital. had blood tested and and abdominal ultrasound. blood test resulted SGPT @ 80, ultrasound resulted everything else ultrasonically normal except for a fatty liver. i had fever for i think 3 – 4 days and i couldnt sleep well – for more than a month now. anyway, currently, it seems that i have never recovered from the weakness, dizziness ans sleeplesness. i was given essentiale forte p and when i had another blood test (2nd time about less than 2 weeks after the first test), my SGPT was 45.7. however, chloride in my blood chem is 111.3 which is slightly elevated. according to doc…. no cause for alarm. my uric acid is 7.5 which is slightly elevated… no cause for alarm, although i was given allopurinol. but during my second week, i felt dizzy and weak and all. head ache, pulsating temples etc. so i went to see an eye doctor…. adviced me to see an EENT. i was told i have Positional pachuchu (i forgot) vertigo. so i was given betahistine. then i still had that dizziness, weakness and foggy vison. i went to see the eye doctor again, she gave me correctional glasses. its been 32 days now and i still feel dizzy and still having sleeping problems. by the way, my BP is either 110 over 80 or 110 over 70. oh oh, i also went to see another doctor (ER) and i was told that the weakness I was feeling had nothing to do with the test results i showed him (blood chem, cardio (normal limits). i was only given B12! this was about two weekas ago. Now im having moments…. dizzy,weak, nakaka depress…. i want my life back. anyway, im going to our province to have my self checked again…. this time a general check up thingy…. oh oh…. i was also told that i might also be suffering from anxiety! i dont think so as I FEEL DIZZY!!!!!!!! i even had my ears checked at Manila Hearing Aid as recommended by EENT – findings – bilateral mild sensory neural hearing loss which according to the EENT is normal for may age (38) and previous lifestyle (used to sing in a band)….. your thoughts please? thank you. btw, how do i get back to this page? please email me. thank you. im not a techy guy. There could be many other factors that’s causing your weakness, fatigue and dizziness. But your fatty liver shouldn’t be causing this, especially with an SGPT of 45.7. Essentiale has actually helped reducing it down. Are you getting enough exercise? How’s your diet? Vitamins? It’s a good idea to have that complete check up to find out what’s wrong to get you to the bottom of this. There could be an underlying cause and only diagnostics tests can help you know that. U can get back to this page by clicking bookmak in you computer so that u have the sie’s address all the time. Good luck! Hi AKONGPOH, you did not mention what level you have at this time, but given the things that you are doing to reduce your sgpt level, it is possible to reduce it to the normal limits. Good luck to your job application! Recently i had mild fatty liver and my doctor asked me to take liver supplements “Livolin” precisely but i stopped along the line because i don’t if it will make any difference. sorry i don’t know if it will make any difference. A mild fatty liver is a reversible condition which can be treated by liver supplements, a healthy diet and some exercise. You may not be experiencing any symtoms at this time, but if you don’t treat it as early as now, you liver will be damaged very badly before you know it. So better start taking your supplements now and consider avoiding oily foods. Good luck. i feed mostly on carbohydrate and i take livolin as recommended by my doctor. Aside from livolin what other liver supplements can i take? One liver supplement brand should be enough. I f you feel you need to add another one, consult your doctor first about it. Good luck! Hi Lanie. Medyo mataas na yung dosage mo. Please consult your doctor before making any changes with the dosages. Sir. Ano po ba mas effective.para mg baba ang sgpt. Milk thisle o essentiale forte? I would like to ask what’s the meaning of diffuse liver parenchymal disease with fatty infiltrative changes as result from ultrasound examination. Hoping to have at least basic knowledge regarding Implications, condition and medication as well. I do really appreciate reading this blog site of yours and it is very helpful. Hi Alex. Basically, you have a fatty liver which can be due to your intake of fatty foods life fast foods and meat. Consider avoiding these kind of foods, as well as alcoholic beverages. 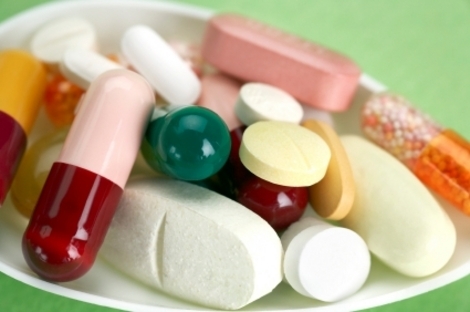 Ask your doctor about starting on liver supplements such as essentiale, liveraide. Depending on the sgpt level, this is usually reversible. Thank you very much for your response. Sir, I haven’t yet seen my doctor but I’m currently taking essentiale forte 2x a day. Is it also ok if I would be taking supplements or vitamins b1,b6,b12 (revitaplex). By the way sir my sgpt level is 110. any further suggestions or medical advice besides avoiding fatty foods and alcoholic beverages for fast rebuild or reverse. Actually, i’m not a drinker though before I think I got this with my eating habits before. Increase oral fluids and some exercise can also help. if i take essenciale how long it take? Some doctors advise to take it for 2 weeks, some for a month. It probably depends on how high your current level is. sir gud pm poh..iM eden poh taga taguig, nagpactscan poh kaz ang pinzan ko..anG impRession poh sa kanyanG findingz is meron poh syang Diffuse liver parenchymal disease, ascites at illeus. Ask kO lang ko is it too dangerous poh ba sa kanya? merOn poh bang medical treatment para dito? ?..i mean medication poh…pls reply me poh asap..i nid lang poh talaga ng help nio.. Yes meron pong treatments para dito. Kailangan mo lang i-follow ang mga suggestions ng doctors mo and take the prescribed medications. Sorry for the late reply. You seem to be very willing to share information and I applaud you for that. I am new to your site, but wondered if you did posts like this about all the body parts. What a great way to approach the subject of what each part does and how to protect it. Thanks! Oh i didn’t do all the body parts… But you gave an idea! Thanks!!! Hi sir Nelson, worried po ako nung una sgpt ko 184 din sabi ng doctor take ako ng silymarine after 1week po nagpa test ulit naging 284 na. Din nagpa Liver ultrasound po ako ang result FATTY INFILTRATION OF the Liver . Binigyan pa po aq ako ng 1week para magpababa ng SGPt .. Possible po ba na baba in 1week po? active pa po ba ang blogs na to?